Mixing up your own dressing can make a boring salad extraordinary. 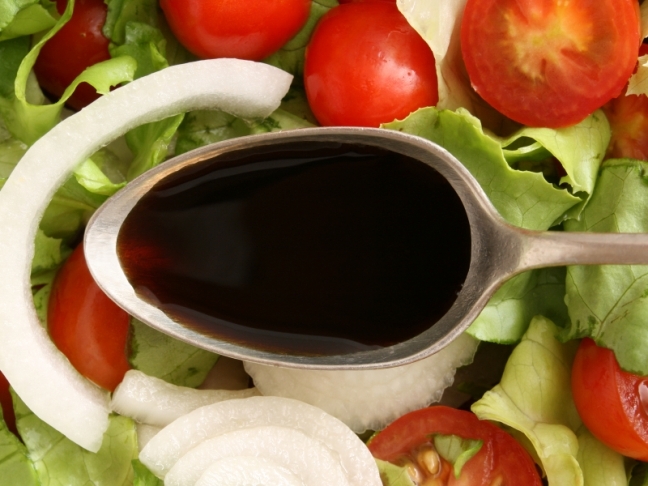 Here is a quick n’ easy, foolproof method for making balsamic reduction. 1. Add the balsamic vinegar to a small saucepan and warm over medium heat. Cook until the mixture is reduced to 1/3 cup. Drizzle this on strawberries, Summer Peach Salad, Berry-Delicious Summer Salad, or use your imagination!